If your school had the chic school uniforms that Hogwarts had, would you have been for a strict dress code? Whether or not you would, all of us muggles have to admire that witches and wizards were never forced to wear polo shirts in beige or navy blue and embraced the classic button-down with a tie, slacks, or pleated skirts for witches who were so inclined. The trick to maintaining a love for your day-to-day uniform while living at Hogwarts? Changing up your stockings! Everyone is going for Argyle but there's nothing in Hogwarts: A History that limits you to that particular pattern. 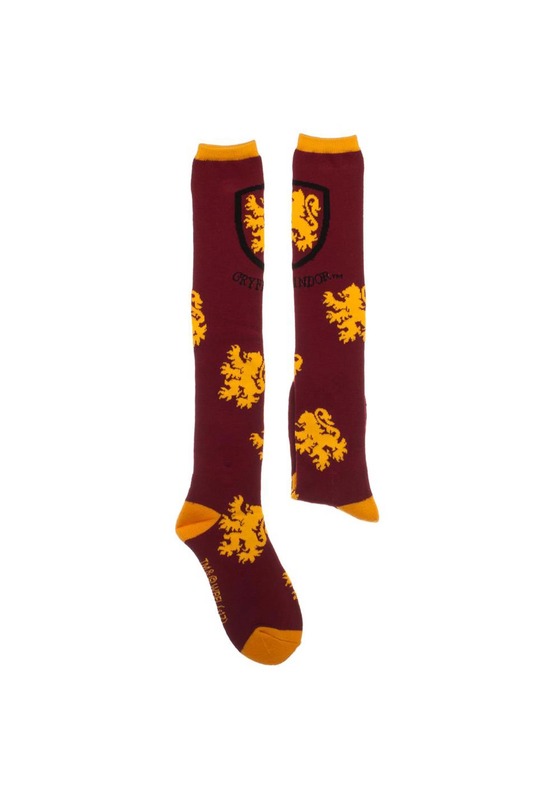 You can branch out, especially if your socks still represent your house-pride! You won't get any style points docked from your house when you show up to class wearing this maroon and gold pair of stockings. The pattern is bold with the Gryffindor Lion throughout. The front sports the Gryffindor shield with the name print in black underneath. There is a thin line of ribbed gold on top, making these socks perfect for layering under slacks or wearing with skirts! 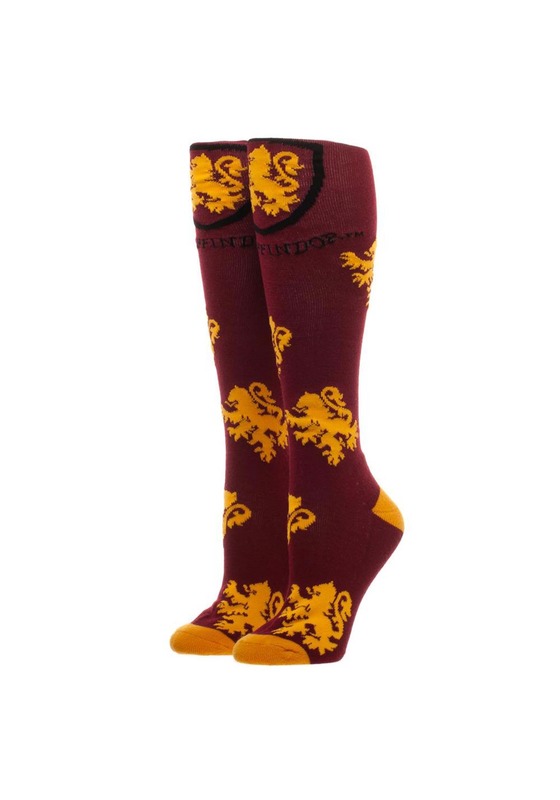 So, whether you're heading to Platform 9 3/4 to start your first year at Hogwarts or you simply want to add a little more color to your Hermione costume this Halloween, you'll wear these socks again and again. Now all you have to do is figure out how to transport your heavy trunk without using magic!